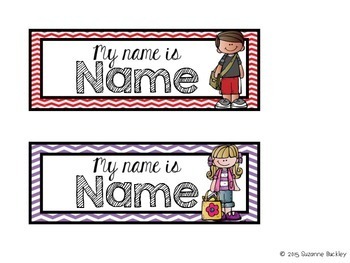 Add some colorful chevron and sweet Melonheadz clipart to your classroom with these editable nametag templates! I like to add these nametags to the front or sides of my students' desks. This file contains 12 different nametag templates. 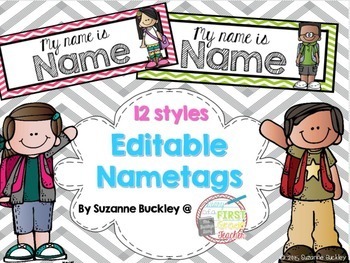 Easily add students' names to each nametag and choose the font and size of your choice. This file is editable in a PowerPoint document. 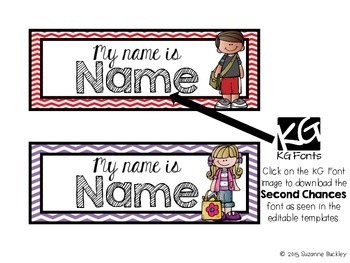 I have included a link to the KG Font "Second Chances" as shown in the templates.